All of us who have made this veggie know how much of an oil guzzler Eggplants can be! 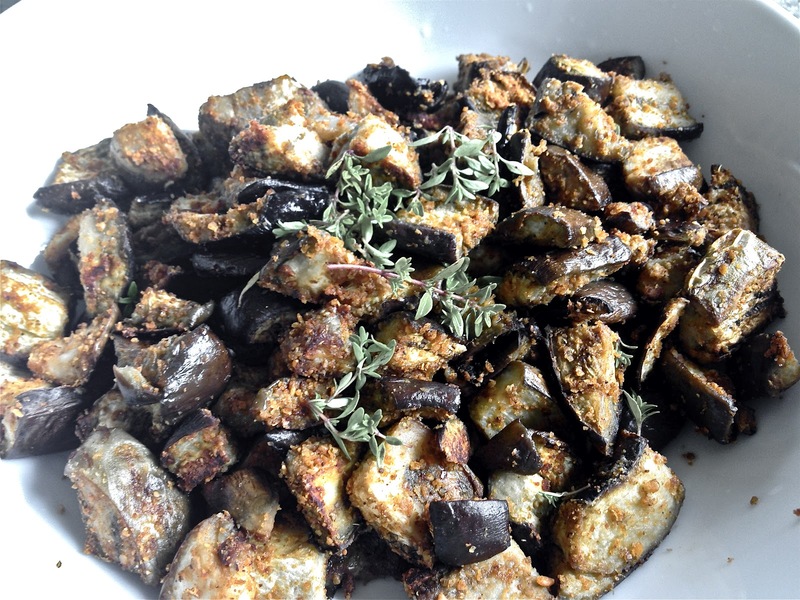 This is by far the easiest and healthiest way in which I’ve prepared aubergine – Did I tell you that there are these cutie pie eggplants growing ma jardin and I have been trying out different recipes with them, the first of which is this super duper roast. 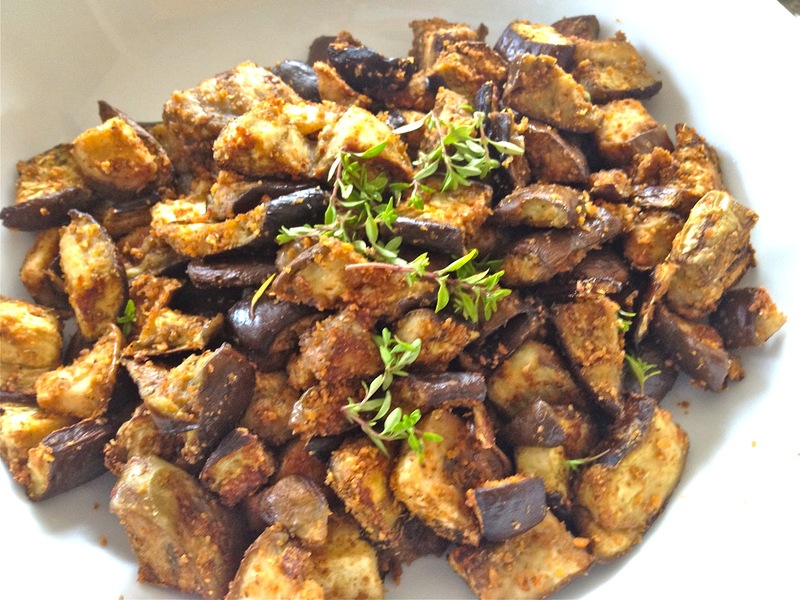 I love eggplant and I must try this roasted version, sounds amazing! So cool that you picked them straight from your garden! Yep, i agree, aubergines are such oil guzzlers, but love the veggi, an your dish looks extremely yum! Oven roasting gives everything such a unique and beautiful flavor! Very new recipe for me. This is very healthy,spicy and tasty recipe. I will try it soon. Never baked eggplant other then baingan bharata..this sound interesting and will try it.. Delicious and less oil too…. wow.. very healthy and delicious..
That's a healthiest and yummiest dish! 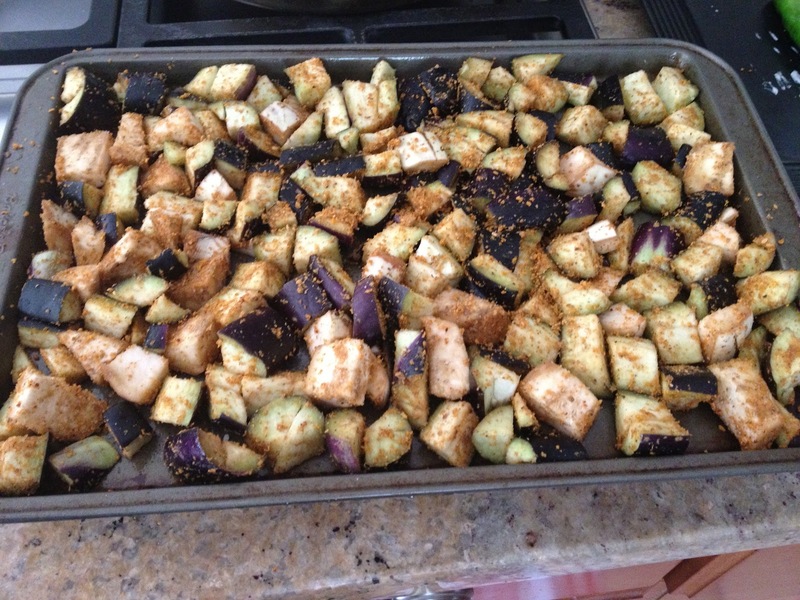 never tried baking eggplant, looks so delicious..loved it!! Lovely to see Aubergine – and not eggplant!! it looks simply wonderful – full of flavor and SO good for you = yum! wow..guilt free,oil free ones..yummy & healthy! Such a fabulous dish, cant wait to give a try one day. 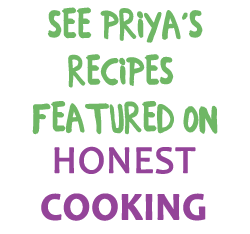 Love the recipe…Our eggplants are finally ready in the garden and could use a few new ways to use them. Thanks much for visiting my blog also! You know, I have actually never tried baking brinjals! YOur post has given me a really good idea And ur right, this is the best way to ensure low-oil yet yummy aubergines!